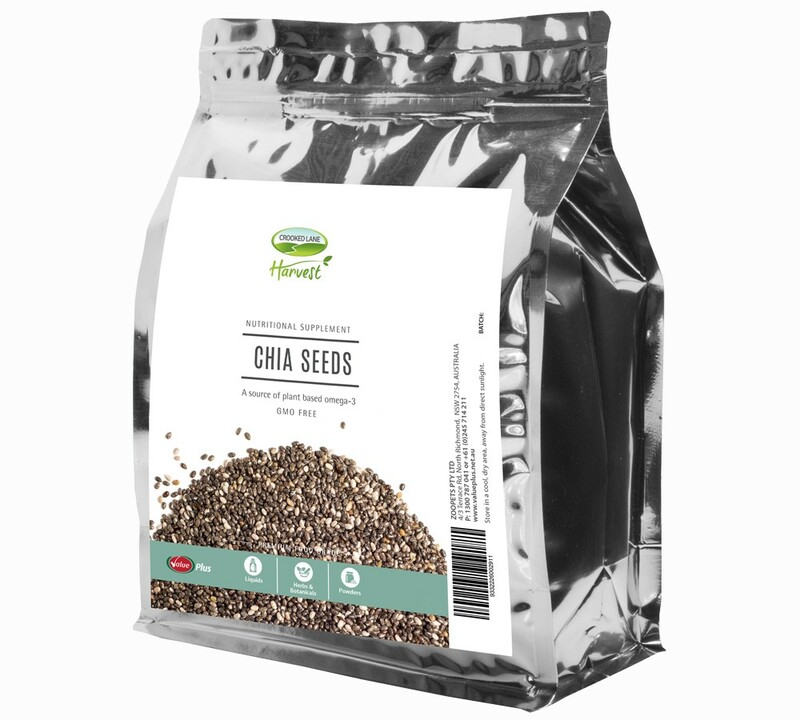 The Crooked Lane Harvest Black Chia Seed is a high quality, all-natural product, and is herbicide and pesticide free. It is also non-GMO. This product has been grown under strict International Certification Standards (Global Gap Certification) and carefully selected with your pets well-being and health in mind. DIRECTIONS FOR USE: Please refer to your animal health specialist for advice specific to your needs.